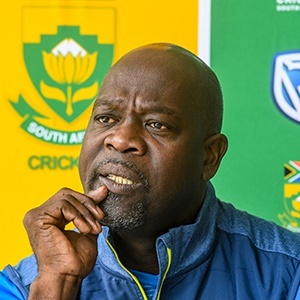 At the conclusion of their recent white-ball tour to Australia, Proteas coach, Ottis Gibson, and captain, Faf du Plessis, declared their satisfaction with the status quo of the ODI squad. Both admitted that the team is not the finished product yet but that they are happy with the preparations for next year’s World Cup in England. Except for the fast bowlers, I’m not so sure. The Proteas have played sixteen ODI’s this year. (There will be no more in 2018 before a five-match ODI series at home against Pakistan from 19 to 30 January 2019.) In a six-match series against India in South Africa in February, the Indians completely outplayed the Proteas. They won the series 5-1 and became the first Indian touring team to win an ODI series in South Africa. In July/August the Proteas beat Sri Lanka 3-2 in an away series. It might sound impressive but Sri Lanka is a poor side at the moment. They have never been the same since the retirement of Muttiah Muralitharan and their current team is probably their weakest since winning the World Cup in 1996. In September the Proteas beat Zimbabwe at home 3-0, albeit rather stutteringly. Again not much should be read into this victory because, well, it’s Zimbabwe. The 2-1 series win in Australia is impressive. With the ball-tampering saga still rankling and the suspension of Steve Smith, David Warner and Cameron Bancroft still in place, Australia is going through their worst crisis since the Packer circus. But take nothing away from the Proteas. No matter what, there is no such thing as a weak Australian team; beating them at home in any format is a big achievement. The three leading fast bowlers, Dale Steyn, Kagiso Rabada and Lungi Ngidi, were very good Down Under and could lead the Proteas attack next year. The back-up fast bowlers are problematic, however. Andile Phehlukwayo only flatters to deceive. He is a great talent but is he at 22 years of age ready for the World Cup stage..? Dwaine Pretorius simply isn’t good enough for international cricket. The Proteas have about six months to find a better fast-bowling, allrounder option. As always, Imran Tahir was good in Australia. But apart from him there is no one else you can take to the World Cup with confidence. As with Pretorius, Tabraiz Shamsi simply isn’t good enough to play international cricket. In my opinion, too much is being made of having spin variety – one who takes it away from right-handers, one who does a holding job, another who is a wrist spinner, etc., etc. South Africa simply haven’t got (and have never had) the spin-bowling stocks to be that picky. They should select the best white-ball spinner after Tahir, whatever his discipline, and back him. Time for Keshav Maharaj, I’d say. The biggest problem area though is the batting. Du Plessis and David Miller performed well in Australia, but for the rest there was nothing to write home about. A lot is being made of the return from injury of Hashim Amla and JP Duminy, but I’m not so sure whether they will make the difference. Firstly, both carry the scars of previous failed World Cup campaigns. Secondly, there were signs before his injury that Amla isn’t the player he used to be. Of course, I would love it he proves me wrong. On the other hand, Duminy was the best batsman on the Sri Lankan tour and also gives you the option of an extra spin bowler. He could strengthen the middle order. Most worrying for Gibson and Du Plessis must be the form of Quinton de Kock. De Kock has struggled of late, in all formats, and one cannot think of any innings of substance he has played recently. Being the first choice wicketkeeper doesn’t make the problem any easier. A misfiring De Kock will put a serious dent in the Proteas’ World Cup chances. Fortunately the converse is also true for De Kock; so the Proteas will have to stick with him and hope he finds his magic touch. With the brilliance of AB de Villiers there for all to see in the Mzansi Super League, it is no small wonder that the talk of a World Cup return just doesn’t want to go away. One swallow doesn’t make the summer, but it does look like De Villiers could be the one missing jigsaw piece standing between South Africa and a realistic chance at the World Cup.